For over two hundred years, the Gothic has remained fixed in the European and American imaginations, steadily securing its position as a global cultural mode in recent decades. The globalization of Gothic studies has resulted in the proliferation of new critical concepts and a growing academic interest in the genre. Yet, despite its longevity, unprecedented expansion, and accusations of prescriptiveness, the Gothic remains elusive and without a straightforward definition. 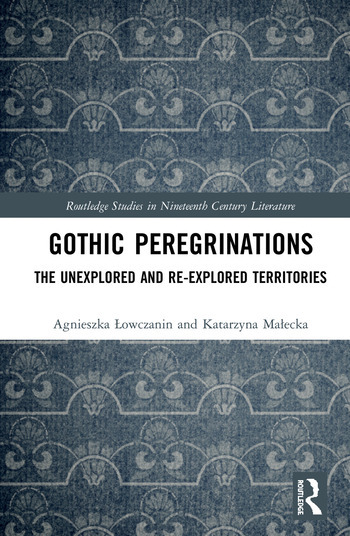 Gothic Peregrinations: The Unexplored and Re-explored Territories looks at Gothic productions largely marginalized in the studies of the genre, including the European absorption of and response to the Gothic. This collection of essays identifies landmarks and ley lines in the insufficiently probed territories of Gothic scholarship and sets out to explore its unmapped regions. This volume not only examines Gothic peregrinations from a geographical perspective but also investigates how the genre has been at odds with strict demarcation of generic boundaries. Analyzing texts which come from outside the Gothic canon, yet prove to be deeply indebted to it, like bereavement memoirs, stories produced by and about factory girls of Massachusetts, and the Mattel Monster High franchise, this volume illuminates the previously unexplored fields in Gothic studies. The chapters in this volume reveal the truly transnational expansion of the Gothic and the importance of exchange – exchange now seen not only as crucial to the genre’s gestation, or vital to the processes of globalization, but also to legitimizing Gothic studies in the global world. "A Romance Fit for the Taste of our Era": Anna Mostowska and the first Polish Gothic stories. Agnieszka Lowczanin is Assistant Professor in the Department of British Literature and Culture at the University of Lódz, Poland, where she teaches courses on British literature, culture and history.. Her main areas of academic interest are the diversities and paradoxes of the eighteenth century and the potentialities of Gothic aesthetics in literature and film. She coedited a volume of critical essays, All that Gothic (2014), and published numerous articles on various aspects of the Gothic. Her monograph A Dark Tranfusion: The Polish Literary Response to Early English Gothic is going to be published in 2018. Katarzyna Malecka is Assistant Professor and Chair of the English Department at the University of Social Sciences, Lódz, Poland, where she teaches courses on American literature and culture. Her main areas of research are death and grief in American poetry and life writing. She is the author of Death in the Works of Galway Kinnell (Cambria Press, 2008) as well as of numerous articles on death and grief in literature and culture. She has been awarded the Fulbright Senior Award Scholarship for the 2017/2018 academic year to work on a research project at the University of Memphis, Tennessee, focusing on the use of modern bereavement memoirs in grief therapy. Currently, she is working on a book analyzing the social, cultural, and therapeutic characteristics and applications of modern bereavement memoirs.